I have to admit I didn't enjoy this ebook as much as the first one in the Pottermore Presents series, it's okay but I guess I'm not as interested in learning more about characters like Umbridge, Slughorn and Quirrel as I was about McGonagall and Lupin. Out of the three I found Slughorn the most interesting, he may be shallow and obsessed with making good connections (who could forget the Slug Club?) but he isn't completely evil. He just made some rather misguided decisions due to his own sense of self importance. I felt a little sorry for Quirrel because he's just such a pathetically weak character but I don't really care about him any more now than I did before reading this story. It was kind of interesting to realise that Umbridge was just as evil as a young woman and only got worse with age. I guess I was expecting her to have suffered some kind of tragedy that made her turn out that way but it's more like she was born evil and just matured into her nasty nature. She's easily one of my most hated fictional characters and what we learn in this collection of stories doesn't make her any more sympathetic. Umbridge was a nasty piece of work and I think the ending of her storyline was very fitting. Alongside learning more about those three characters we also get a bit more detailed information about the Ministry of Magic and in particular the Ministers of Magic, right from the inception of the society back in the early 1700s through to the current day. You'll find brief biography for each Minister and if you pay attention you'll spot several familiar names throughout the ages. The full background about Azkaban was probably the part I found most interesting although I also enjoyed J.K. Rowling's thoughts on potion making and how she chose the ingredients for things like the Polyjuice potion. 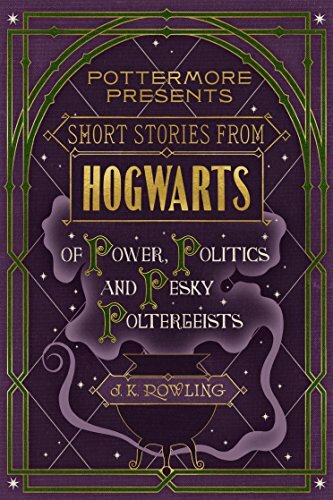 There is also a section about Poltergeists and why Peeves has been allowed to remain on the Hogwarts grounds in spite of all the trouble he causes. 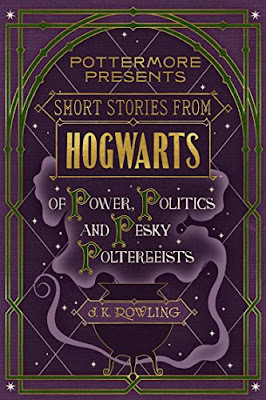 As with the previous Pottermore Presents book Short Stories from Hogwarts of Power, Politics and Pesky Poltergeists contains a mixture of stories and articles that can be read for free on the Pottermore website and new things written just for this series of ebooks. I can't tell you what the percentage is of old to new material as I've never read the articles on the website and I still think that these ebooks aren't great value for money but I like having everything neatly collated into one place so I can easily read it on my kindle. The third ebook is all about the secrets of Hogwarts and I think it's probably going to be my favourite from the Pottermore Presents collection.